Broken hallelujah - sister-hood magazine. A Fuuse production by Deeyah Khan. As Hallelujahs were raised to the Lord in a ceremony re-writing history in Jerusalem, little Leila Anwar Ghandoor took her last breath, along with 57 other people who died on May 15, 2018 – 70 years after the birth of Israel and the launch of the ‘ethnic cleansing’ of the Palestinian people. That was also the day the music died. This day will forever be marked in our history as the time that not only peace, but also innocence and morality were martyred. In 2008, Fadi Abu Salah lost his legs in an Israeli bombing of Gaza. On this day in 2018, he sat in his wheelchair, tall on the shoulders of Palestinian dignity, protesting an occupation with all he had left: his arms and the stones so generously offered by the land to a people with nothing left to lose. All he had left, except for his breath, which Fadi Abu Salah lost forever; along with Leila’s life, music, innocence, and morality. All to the tunes of ‘Hallelujah’ playing a few kilometres away. ‘I was around in 1970 and now I am around in 2015… there is no poetry and very little romance in anything anymore, so it is really like the last phrases of “American Pie,”’ he said. ‘The final verse of the recorded version describes a bleak America: the music has gone and even the Father, Son and Holy Ghost are heading for the coast.’ – Don McLean. It’s 2018. There is no trace of them. I learned a different perspective on thought from psychologist Dr. Michael Gervais. He goes beyond the dichotomies of ‘good’ and ‘bad’, ‘negative’ and ‘positive’. Every thought we have, he says, either creates space, or tension; expansion or constriction. I believe part of our growth into our full human potential – a project currently undergoing a lengthy, disturbing stage of stagnation – is to explore our ability to consciously transmute pain into expansion. Empowerment resides in space. What we need today, when all else has died, is empowerment: the sustainable, free acknowledgement and celebration of one’s self-generating, infinite resilience and power. How to move forward after this? Empathy and pain are intertwined. Our threshold keeps rising, and with it the brutality of what humanity (given the current stage of coma it is in) can inflict on one another. Pain is fuel to feel and act – to move to expansive space where reason – and music – dwell. In space, hallelujahs are authentic and pure, and play endlessly. What is causing the confusion and the resulting dehumanisation of one another is the state of chronic tension we are in, leaving us no space to breathe, let alone truly hear the music. Our ability to reason and think clearly has been shut down. Every action we take – and the thoughts that prompt it – has been coming from a place of paralysis and fear. We react rather than respond. We see the world in black and white, as people being with us or against us. Our reactions are hysterical, blind, and deaf to the cries of humanity. This reaction makes one side (David and Goliath morphed into one) see an eight-month-old baby girl as collateral damage. It’s not only the music that has died. Most of humanity has died with it. But hope has not died. All is not lost. I move forward one day at a time: one word, one action, one prayer at a time. One foot in front of the other. The pain takes me to a wider plane where broken church bells are patiently put back together again. 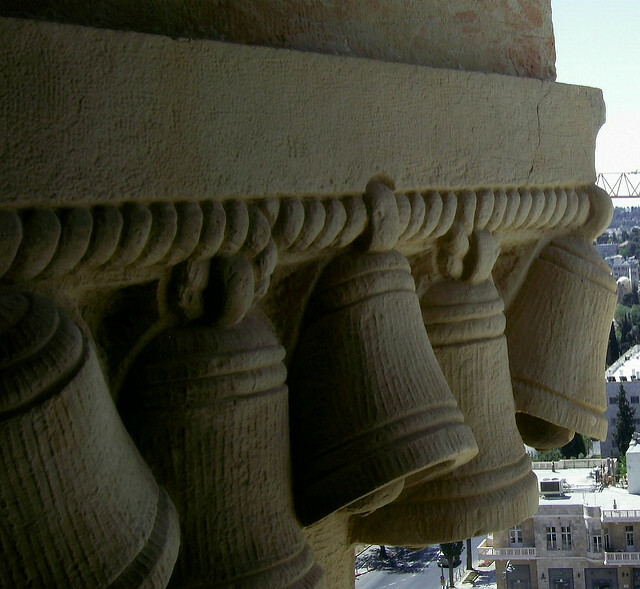 They will ring from Jerusalem, serenading the sanctity of all life. Khadija Muhaisen Dajani’s journey is perfectly summed up by Gloria Steinem’s reflection of her life in which the circle, not a hierarchy, is the goal. Her work is guided by the intention to inspire compassionate living. Through Sacred Activation practices including yoga, nutrition, writing, and activism, she hopes collectively we can access our innate, infinite well of resilience, power, and ultimately Spirit. 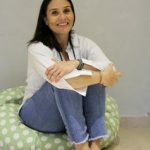 She is a Registered Yoga Teacher (ERYT200 & RYT500), Whole Plant-Based Nutrition Certificate Graduate, & Writer.